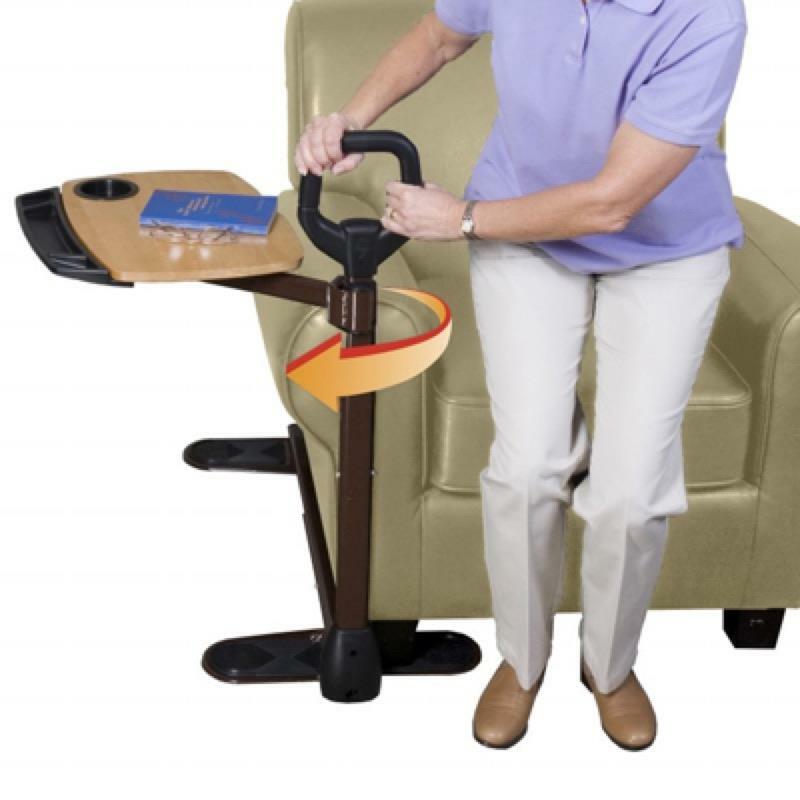 The Assist-A-Tray Over Chair Table is a uniquely designed dual use grab handle and tray that provides the user with support when getting into and out of any sofa, chair or recliner. It features an ergonomically designed grip handle and attached to this is a dual pivoting tray that rotates 360 degrees. The tray includes a cup holder and extended compartment and can be used as a laptop desk, reading desk, tray for eating meals from and much more. Easy to fit and just simply slots in position under the side of any sofa, chair or recliner.